The fact that people are most productive when around others has been proven in more conventional ways. 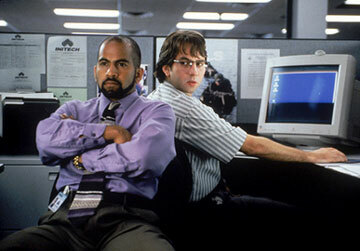 But, we are going to mix it up a bit and bring it right back to 1999 and the release of the movie Office Space. If you haven’t yet seen this epic comedy, please stop reading here and pay a visit to your local video store. Believe it or not, Office Space can actually teach us some core lessons about the benefits of working with others. If you are trying to start a business, attempting to finish a project or anything in between, a little time working right from home can be a good (and sometimes necessary) thing. But what happens when you get writer’s block? Or when you need a professional reference that really knows your business? Or, what if you just can’t muster up the strength to pull yourself off the couch in the middle of “Family Guy” and get to work? The answer lies between the lines of Office Space: surround yourself with like-minded professionals to reach your true potential. Remember the scene in which Peter Gibbons has just informed his two friends of their unexpected termination from Initech (your typical late 90’s software company)? After tons of thought (and a couple drinks) they come up with their brilliant plan for making millions. (For now will ignore the fact that it almost lands them in jail.) Without their collaboration they might not have found a solution; Samir Na..Naga…whatever and Michael Bolton (no, not the singer) would have been left without a job. Milton (the squirrely one with fishbowl glasses who mumbles a lot) teaches us yet another lesson when he is repeatedly asked to move his desk multiple times further and further away from his coworkers. When Milton ends up in the basement, with only storage boxes and rats to keep him company, he claims (again) that this is “the last straw.” The lack of human presence in that basement was quite eerie and I hate to say it, but some homes resemble just this during the day. No matter who you are, at some point, you are going to crave human contact and this contact could give you a step up over your competitors. Peter, Samir, Michael Bolton and Milton also teach us how vital it can be to have friends in the work place to share a few laughs with. Get into an office and send along your favorite joke from the weekend or forward on those silly cartoons (not on company time, of course). Having professional friendships can only be beneficial. Along with the business referrals received the connections you make in a workplace can have a lasting impact on your professional career. Who would have thought you could learn that much from a couple of Initech employees in Office Space, huh? 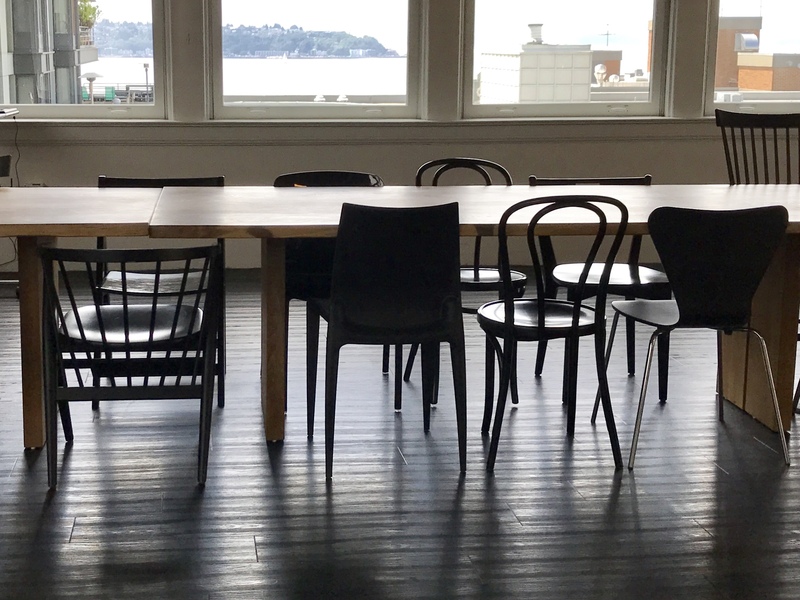 Check out www.thinkspace.com for all of our coworking and shared office programs. Quite funny. Boy that movie makes me never want to work in corporate America or have a crappy manager ever again. It also does help me recognize what a fun and inspiring environment that I do work in and thankful for what we've created here. Great post Alyssa. Great movie, probably my favorite of all time. So many lessons that echo true in the movie as well which is why I think it's so good. I like how you focused on one particular theme with lessons throughout the movie. Nice article.